Sometimes black and white prints are all you need. Here, we cover the best black and white printers so you can print more pages for less. Unless you print photos, most of your prints are likely in black and white. 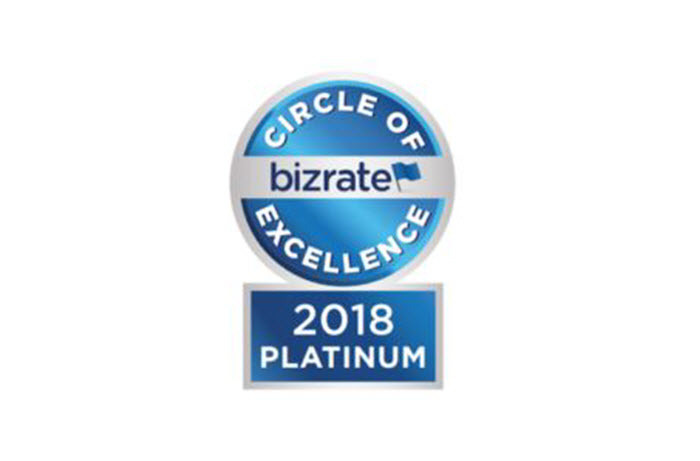 If you are constantly printing business reports, school assignments or spreadsheets, a black and white laser printer is a smart way to save on printing costs. Also known as monochrome laser printers, these machines are designed for homes and offices with text-heavy printing needs, making them perfect for consumers that just want B&W prints. 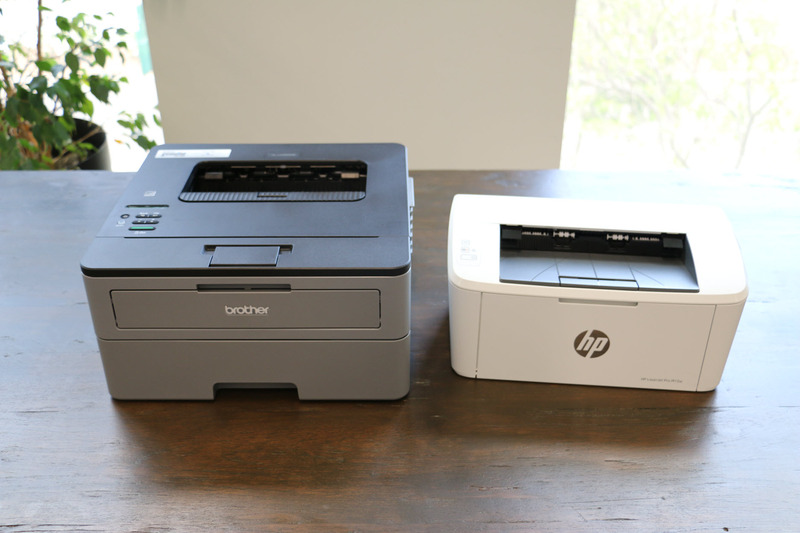 In this guide, we review some of the best black and white laser printers on the market. We cover all of the essential features of each model and cartridge costs too so you can make an informed decision before you buy. We also show you how to save even more on printing costs when you switch to LD brand compatible printer cartridges. Before we jump into a few of our favorite monochrome printers, let’s touch on some of their benefits. Why choose a black and white laser printer? Cheaper operating costs: Prospective printer buyers might also be considering a color inkjet or color laser printer. These are obviously great for color photos or business proposals, but if you are printing in black and white the majority of the time, cartridge replacements can get expensive. Black and white laser printers only use one cartridge to produce a print, compared to four cartridges in most color printers. Switching to a monochrome laser printer will instantly lower your printing costs because you only have one cartridge to replace! Minimal maintenance: Basic monochrome laser models without extra cartridges are easier to operate and maintain. 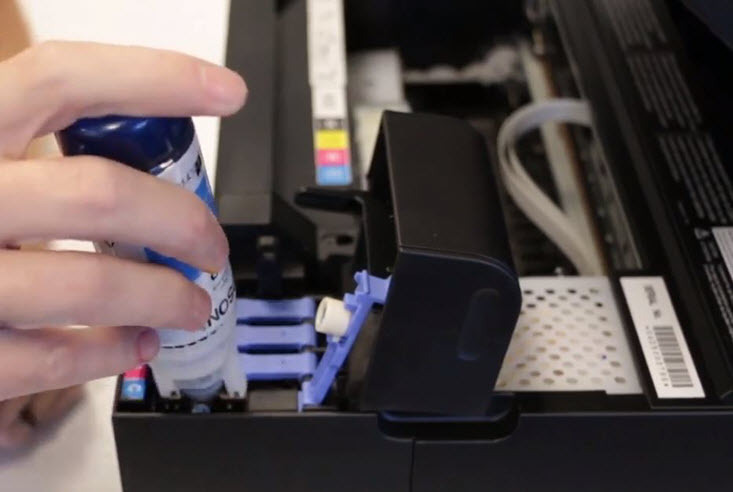 Printers can be frustrating at times and if something goes wrong in the middle of an important print job, it may take a bit of detective work to figure out which cartridge is causing the issue. With monochrome printers you only have one cartridge to worry about so there is less to maintain throughout the life of the printer. Higher cartridge yields: Monochrome printers are built for businesses, so most offer printer cartridges with generous page yields that keep your office printing longer. The higher the page yield, the more prints you can get out of your cartridge. Look for high yield or extra high yield cartridges to get the most from your machine. Lower cost per page: High yield and extra high yield cartridges typically offer a lower cost per page. Cost per page, or the cost of printing a single page with a particular cartridge, is calculated by dividing the cartridge page yield by the cost of the printer cartridge. Although high yield cartridges can be more expensive than standard yield cartridges, they are often a better value thanks to their high page yield. Let’s look at the standard yield Brother TN820 and high yield Brother TN850 as an example. Both of these cartridges work in the Brother HL-L6200DW, which we review later in this article. 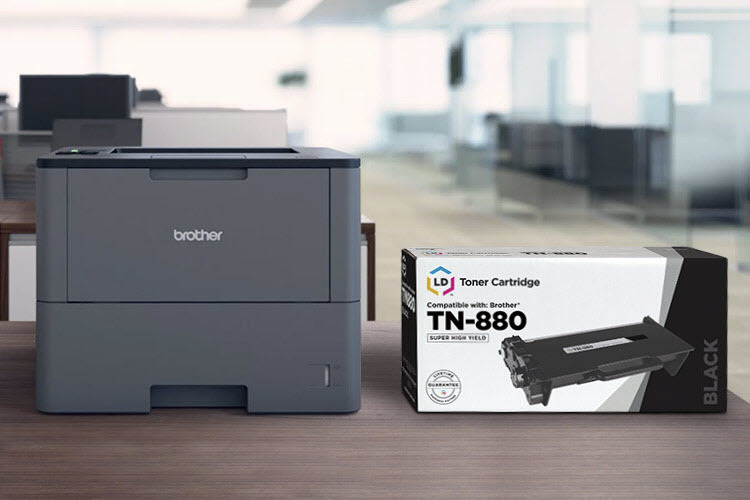 The Brother TN820 prints approximately 3,000 pages and sells for $65.49, offering a cost per page of 2.1 cents. The TN850 is slightly more expensive at $106.99 and prints almost three times as much (8,000 pages), but your cost per page is much lower at 1.3 cents. Pro tip: Buy compatible cartridges from LD Products and lower your cost per page even more! LD Products sells a compatible version of the high yield TN-850 for $16.99 at a cost per page of just .21 cents. Save even more with the compatible TN-880 toner cartridge, which prints 12,000 pages at a cost per page of .16 cents! The HP Laserjet Pro M15w is one of the smallest monochrome laser printers available today, offering a space saving design that is perfect for consumers with limited workspace. Incredibly, it is about as tall as a pencil and weighs only eight pounds! With print speeds of 19 ppm and a 150-sheet paper capacity, all your basic black and white printing needs are covered. Download the HP Smart app for instant mobile printing or use the app’s scan feature to scan a document directly to your phone. 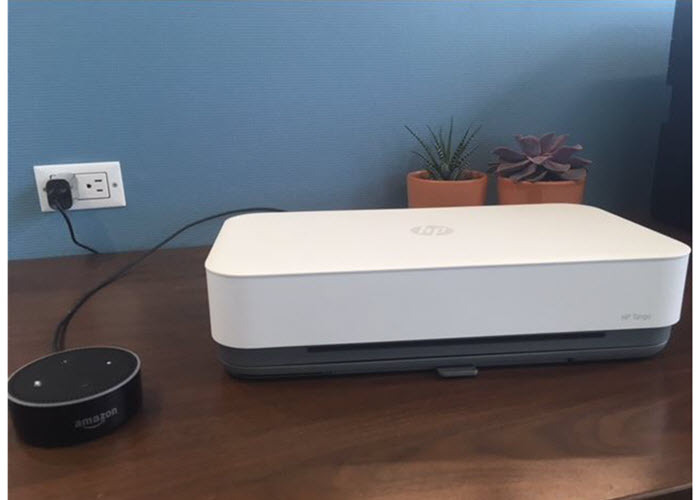 Eco-conscious offices will appreciate the printer’s built-in auto on/off technology feature, letting users easily modify power settings to fit their printing habits. The printer can be a bit noisy during the printing process, so if you need something quieter, you might consider the Brother HL-L2350dw mentioned below. This machine uses the HP 48A black toner cartridge, which prints approximately 1,000 pages for $51.79 on Staples. LD Products sells a low cost LD brand compatible version of the HP 48A for just $29.99, offering the same number of prints as the original HP cartridge for a fraction of the price! The Brother HL-L2350dw is a compact monochrome printer that offers a low cost per page and fast print speeds at a great overall value. For the same price as the HP Laserjet Pro M15w, you get better features and cartridge options, making it a solid option for busy home offices. Printing from your smartphone is easy with the printer’s wireless connection, just download the Brother iPrint app or any other favorite printing app like Apple iPrint. A 250-sheet paper capacity handles half a ream of standard or legal copy paper, so you’ll spend less time swapping out paper. Save even more time and paper with the automatic duplex feature, which automatically prints on both sides of the page with the push of a button. If you need to make copies or scan, you’ll need to look elsewhere (check out the Canon imageCLASS MF424dw below). This printer was designed strictly for printing black and white documents, and it does the job well. Brother sells two different toner cartridge options for this machine. The standard yield TN-730 black toner cartridge prints 1,200 pages for $41.99 and the high yield TN-760 toner cartridge prints 3,000 pages for $74.99. Printer owners will need to replace the Brother drum unit from time to time as well, generally after the use of 3-4 toner cartridges. The DR-730 drum unit for this machine is good for around 12,000 pages and sells for $98.48. LD Products offers compatible versions of these consumables for a great price. Get the compatible high yield TN-760 toner cartridge for $29.99 and the compatible DR-730 drum unit for $29.99. The Brother HL-L6200DW is a business-ready workhorse for small workgroups with high volume printing needs. Its $199.99 price tag is a bit expensive, but the extra cost should add a boost to office productivity due to more printing power and faster print speeds. Featuring speeds of 48 ppm, this printer keeps your business moving. Advanced security features let users claim printouts with a confidential PIN and 520-sheet paper capacity holds an entire ream of paper. Use automatic dual sided printing to print on both sides of the page or the Wi-Fi connectivity to print from your phone or tablet. The printer’s three cartridge sizes provide a range of options, depending on how often you print. The TN820 standard yield cartridge prints 3,000 pages and goes for $65.49. The TN850 high yield cartridge is about $40.00 more and prints 8,000 pages. The super high yield TN880 prints an incredible 12,000 pages and is only $16.00 more than the TN880. If you print a lot, the TN880 is obviously the best deal, offering a lower cost per page for just a few more dollars. LD brand compatible TN-820, TN-850 and TN-880 printer cartridges are available for an even lower cost per page. Get the TN-820 for $15.99, the TN-850 for just $16.99 and the TN-880 for just $19.99! Offices with multi-function printing needs should consider the Canon imageCLASS MF424dw, a recently released monochrome offering with print, scan, copy and fax options. Designed for small-medium businesses, it includes a five-inch color touchscreen with swipe and tap features similar to your smartphone. Simplify user workflows and increase productivity using the onscreen application library, a customizable tool that manages frequently used printer settings. Advanced features like a single pass two-sided scanner scans up to 70 pages a minute and an optional 900-sheet paper tray keeps your office running smoothly. The printer’s 40 pages per minute print speed is one of the fastest in its class, capable of producing rich, bold text on any document. The printer works with two different cartridges: the standard yield 052 (prints 3,100 pages) and high yield 052H (prints 9,200 pages). LD Products sells an affordable compatible version of the standard 052 for $35.99 and a high yield option for $45.99, pick up yours today! *Savings based on price comparison between remanufactured/compatible cartridge prices on www.LDProducts.com and OEM cartridge and printer prices from Amazon and Staples. All prices effective as of April 9, 2019. OEM names are registered trademarks of their respective owners and are not affiliated with, and do not endorse LD Products. Thank you for a very helpful article! Perhaps you could help me decide? I paid only a promotional $40 for Brother HL2240 corded, printer only 4 years ago. So I’m spoiled now but I feel it should’ve lasted 4 more years yet I want to buy another Brother and not sure whether to get printer only or multifunction. I’d LOVE a multifunction though I only need (single) copies or scanning about 4 or 5 times a year. The HL2395 was $100 on promotion last summer but I missed it. Is there another Brother multifunction comparable to HL2395 but more affordable? The HLL2395DW you mentioned is a solid printer, offering those multi-function options you wanted and is one of the more affordable Brother laser printers right now on Amazon: https://www.amazon.com/Brother-Monochrome-HLL2395DW-Cloud-Based-Replenishment/dp/B0764NWFP8/ref=sr_1_1?ie=UTF8&qid=1541174311&sr=8-1&keywords=hl2395dw. Black Friday is around the corner, so there could be a better deal in a few weeks, but it seems like its at a pretty good price right now. Hope this helps! !